Most famous cave shrine situated in the Trikuta Mountains, Vaishno Devi is one of the sacred shrines devoted to Goddess Shakti. 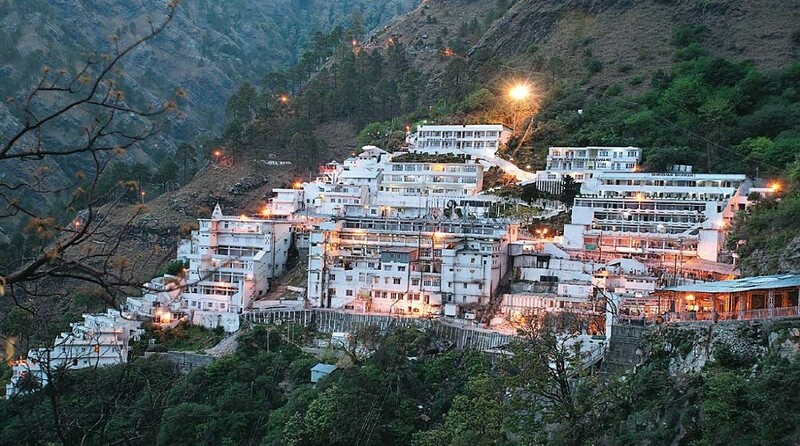 It is believed that one’s desires get fulfilled by visiting the temple of Goddess Vaishno Devi. ArdhKuwari where Mata Vaishno Devi is said to have worshipped Lord Shiva in GarbhaJoon cave for about nine months is the main attraction of the Vaishno Devi tour. Many devotees stay at this place for a night to take rest. A pleasant weather and the captivating Darshan of the MaaVaishno Devi make the yatra a worthy one. Natural beauty at its best can be experienced throughout the trip as the scenic locations just add to the entire atmosphere. One must make a booking with Vaishno Devi darshan tour package and experience the divinity. Located at an altitude of 5200 feet, this temple has a huge reverence for the Hindu deities. Legend also says that Mata Vaishno Devi, in order to escape from tantric ‘Bhaironath’, took refuge in the Trikuta hill and meditated here for 9 months. The main temple has the idol of three Hindu goddesses in the form of Pindies, representing Goddesses Kali, Lakshmi and Saraswati. MaaVaishno Devi Shrine is about 50 Kms away from city Jammu. 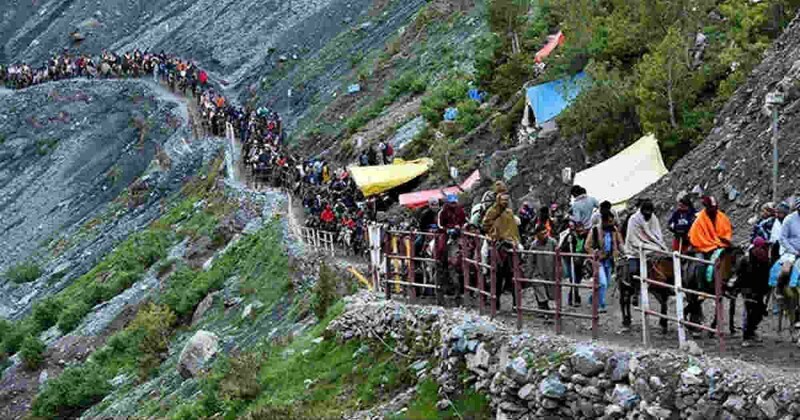 Today most tour operators offer Vaishno Devi Darshan tour packages and Himachal Pradesh tour packages at affordable rates. Most of them offer Different Tour Packages for Vaishno Devi including Hotel Booking in Jammu/ Katra& all other travel arrangements for a comfortable trip to Mata Vaishno Devi. The journey to the temple starts from Katra and it is here that the devotees have to get off. Before you start your journey it’s important to understand the Himachal Pradesh tour packages price and Vaishno Devi Darshan itinerary in detail so that you are prepared in a better way. You can also opt for Vaishnodevi tour packages from Delhi by Volvo luxury buses, tours by tempo traveller, car services from Jammu to Katra and also helicopter booking services for Mata Vaishno Devi. There are many special Mata Vaishno Devi family tour packages also available at concise rates. The most common and popular amongst all the Vaishno Devi tour packages is 2 nights and 3 days’ package which can be availed off anywhere irrespective of the city you live in. Most tour operators will give you the below itinerary. Take a close look before you decide. You will be met by the tour company’s representatives and will proceed to Katra as you and your family arrive at Jammu Railway Station/airport. You will check in at your hotel and can simply rest this day and enjoy the scenery. The evening is free at leisure as you spend an overnight at Katra. After Breakfast check out from the hotel and drive to Jammu Airport/Railway Station for your return journey. Note: Helicopter booking could be done on minimum 40 days in advance.  02 Nights’ accommodation on Twin Sharing.  Daily Breakfast & dinner at the hotel.  Return Ticket from Katra to Sanjichat via Helicopter, if you are opting for the helicopter.  Travel back by A/C car Indica. Pick-up and drop from Jammu Airport / Railway Station.  Transfers to Heliport are included if opting for the helicopter.  Charges for Telephone calls, tips, liquor, laundry, boating, Gondola/joy rides etc. are not included.  Any other item not specified above.  Usages of a vehicle not mentioned in the itinerary or any additional sightseeing.  Guides and entrance fees if any.  In case of any natural calamities like landslides, roadblocks etc. charges to be borne by the client.  Prior to departure - any increase in taxes or fuel, leading to an increase in surface transportation & land arrangements.  Rates are subject to availability.  Cancellation charges as per company policy.  Room category in all packages are the base category rooms.  You will be provided similar alternate properties in case your tour operator is not able to provide the same hotels as mentioned. Any change in cost will be discussed with you.  Heli-Darshan Package can only be offered on a minimum 01-month prior request.  12 noon, Check-in & check-out.  Packages are mostly confirmed on receipt of 100% of advance payment.  For Adults - Photo identification in the form of Voters ID / Passport / Aadhar Card / Driving Licence / Ration card.  For students - Photo identification in the form of Passport / Aadhar Card / PAN card. Carry school/college Identity card, original and photocopy both.  Remember prepaid Sims will not work in Jammu & Kashmir. Make sure you carry appropriate sim card.  Carry Shawls, woollens, Sweater, hand sanitizer, cap, sports shoes, umbrella, camera etc. along with your necessary toiletries and clothing.  If you are on any medication, carry sufficient stock of the medicines with a prescription. Kindly be informed about the weather conditions through your tour operator or through various weather apps/news bulletins etc. You can buy some walnut, almonds, apricots, saffron and various other dry fruits apart from shawls, sarees, suits, pashminas, sweaters, leather jackets, bags, purses, etc. Vaishno Devi is situated in the cavernous ranges of Trikuta hill in the state of Jammu and Kashmir and is the second most visited holy shrine in India after TirupatiBalaji. Dedicated to the goddess Vaishnavi, this holy shrine beckons thousands of devotees every year. A deep faith in the presence of divinity on earth is what helps pilgrims undertake the arduous journey of 14 kilometres to the holy cave.